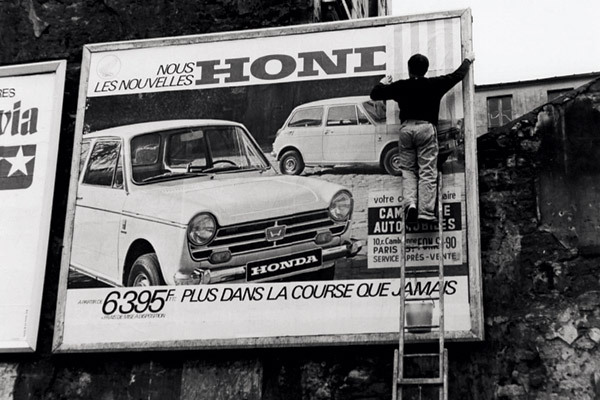 Photos-souvenirs: "Affichage sauvage", in situ work, Paris, summer 1969. Photos-souvenirs: "Within and beyond the frame", in situ work. 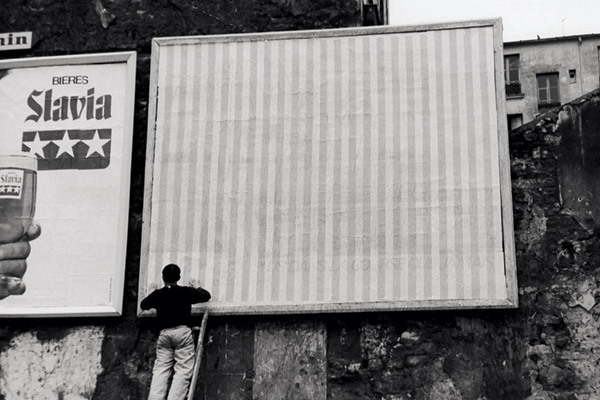 Galerie John Weber, New York, October 1973. 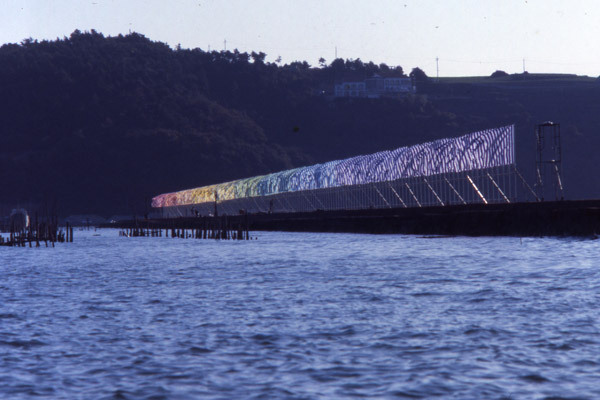 Photos-souvenirs : "L'Arc en ciel", in situ work, Ushimado (Japan) November 1985. Photos-souvenirs : "Sha-Kkei" or "Emprunter le paysage", in situ work, Ushimado (Japan), November 1985. 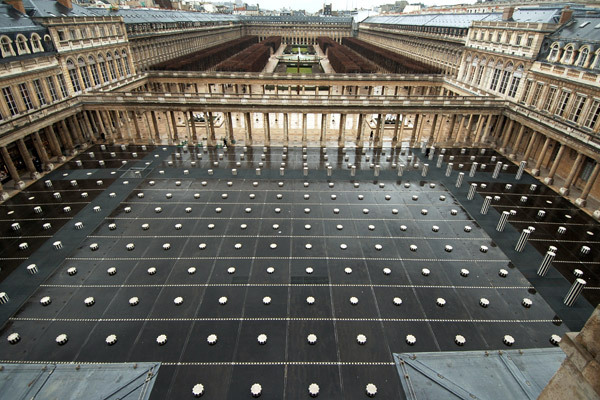 Photos-souvenirs : "Les Deux Plateaux", permanent sculpture in situ, Cour d'Honneur du Palais-Royal, Paris, 1985-1986. 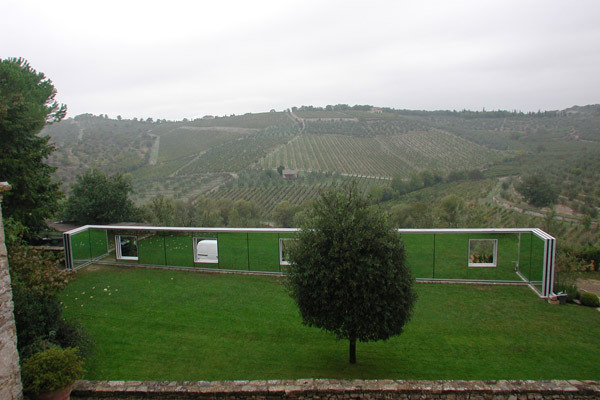 Photos-souvenirs : "Sulle vigne : punti di vista", permanent work in situ, Castello di Ama, Lecchi in Chianti, 2001. 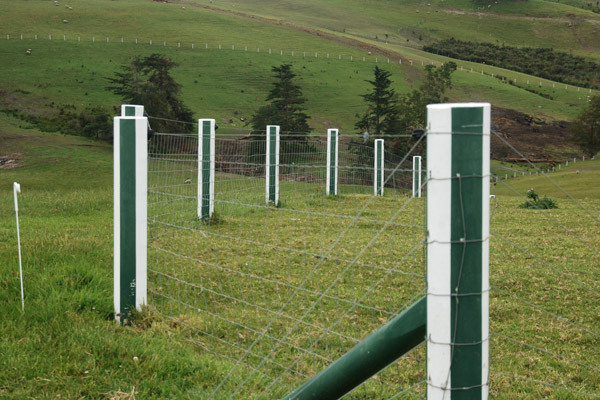 Photos-souvenirs : "White and green fence", permanent and changeable work in situ, The farm, Gibbs Sculpture collection, Auckland, 2001-2003. 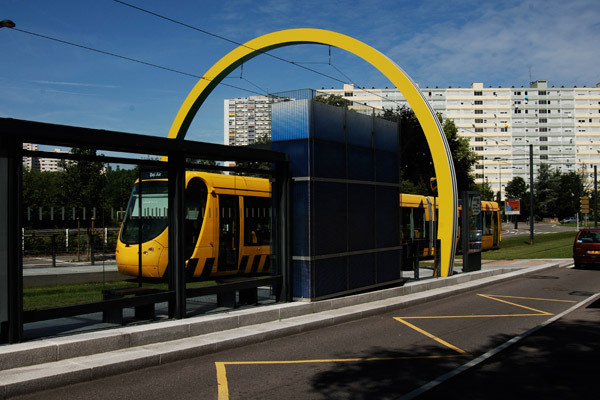 Photos-souvenirs : "Tram/Trame", permanent in situ work in two or three dimensions, produced for the Tram/Train, Mulhouse, France, May 2006. 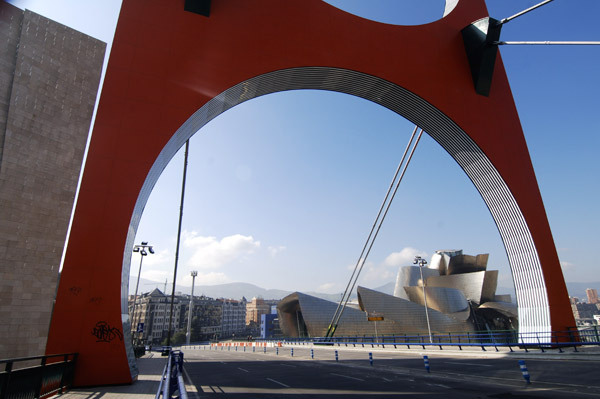 Photos-souvenirs : "Arcos rojos", permanent work in situ, Puente de la Salve, Bilbao, 2007. 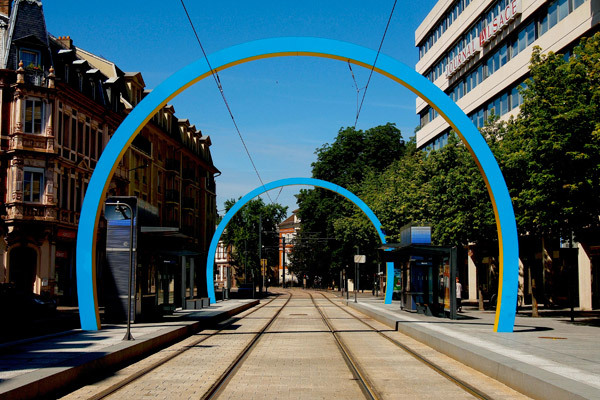 Daniel Buren (Boulogne-Billancourt, 1938) is a pioneer of site-specific art, a type of practice expressly conceived for particular emplacements. Since 1968 Buren has remained loyal to this formulation, based on principles confronting the art system made up of galleries, museums, art fairs, biennials… His work can only be properly construed in the place it was conceived for. 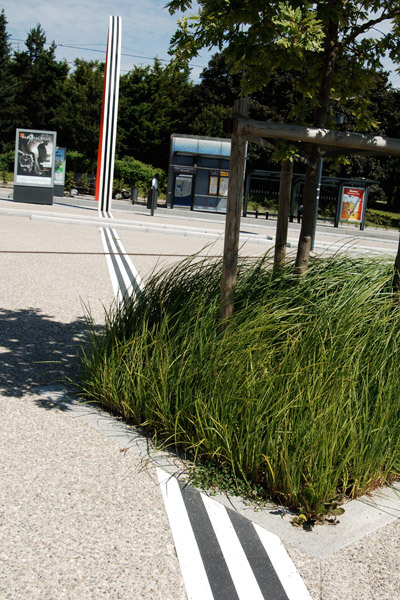 Landscape, whether natural or urban, is an essential part of his practice. The generation of the Impressionists incorporated “plein air” – painting in the open air – into their works as a way of bestowing a greater role to Nature or to urban landscape. These artists no longer created their compositions of natural or city scenes in their studios, but “on site,” in the countryside, streets or in bars and restaurants. With the Impressionists, the environment – either natural or urban – shifted to the fore. 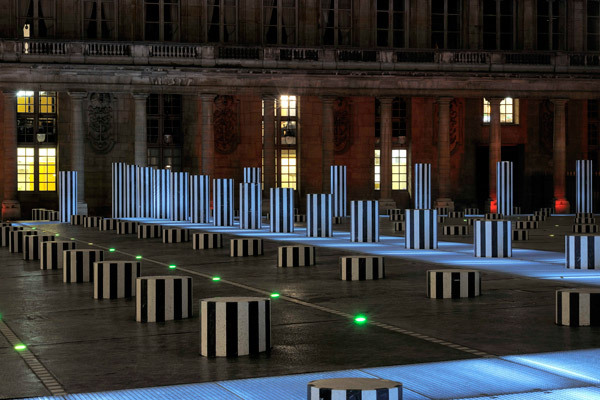 One hundred years later, Daniel Buren takes it one step further. Now landscape is not just a motif of his work but actually becomes an intrinsic part of it, yet another working tool in the hands of the artist to help him render his creations. Landscape is his sheet of blank paper, the canvas on which to draw or the block of stone to carve. 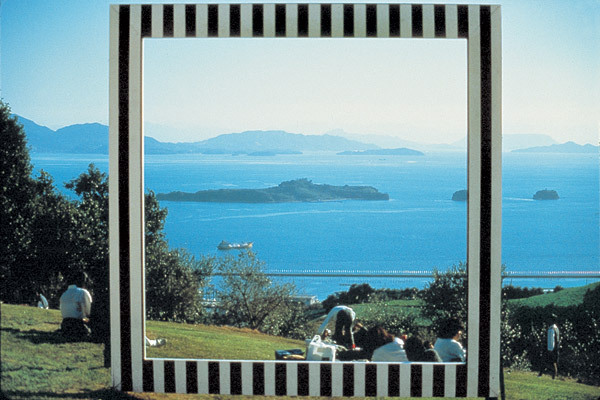 Both natural and urban landscape, his stripes inspired by a popular French cultural motif, visible in the country’s public space, and colour, are Daniel Buren’s tried and trusted “collaborators” in his radical reflection on the limits of the artwork and on the context of the existence-presentation of art. 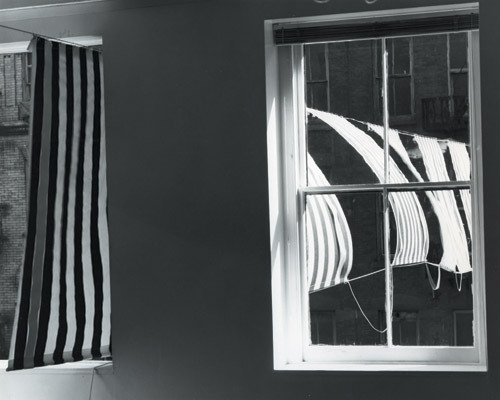 Equally radical are the postulates Daniel Buren envisages for space and its uses. 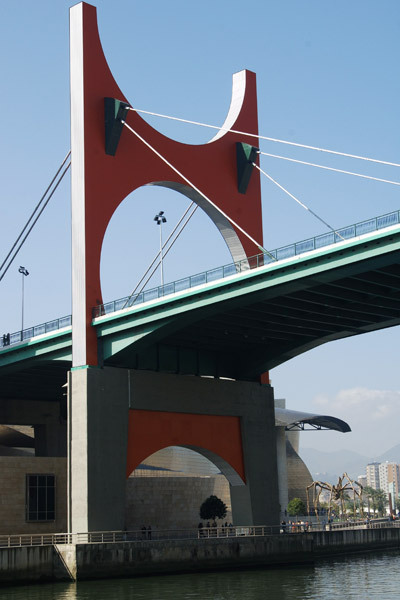 A breakthrough example was the exhibition “Le Musée qui n’existait pas / The Museum that did not exist,” held at the Pompidou Centre, Paris, in 2002. There, the artist “dynamited” the conventional use granted to the space of the museum in order to rediscover a centre with infinite spatial possibilities, thus questioning the institution’s museum-like rigidity, also extensible to many other museums and art centres. 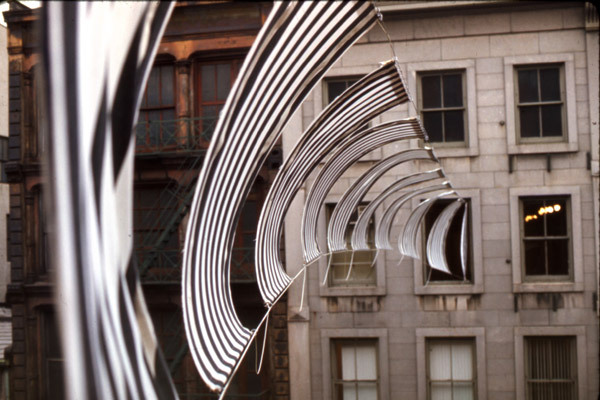 By incorporating landscape as a consubstantial element in his work, Daniel Buren’s practice has left its mark on the history of art over the last 50 years, and has decisively influenced following generations of artists and the presence of art in the public space. 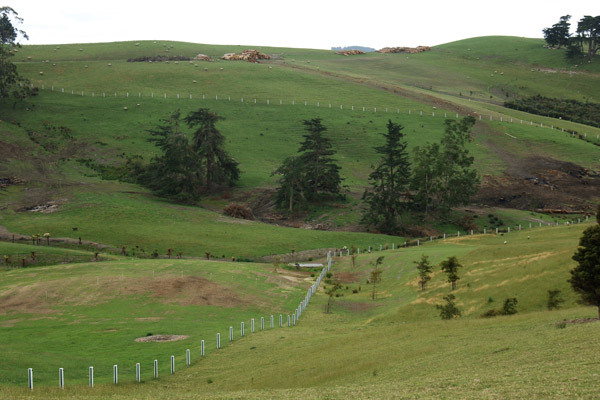 This approach to landscape and space is one of the tools the artist uses in his radical and ongoing defence of art freed from conventions, from spatial and social barriers. 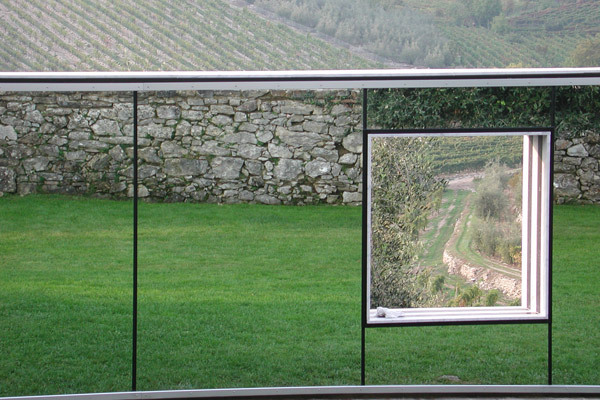 Download PDF "The Landscape Observatory"